Black Friday is certainly living up to the hype with a record holiday spending surge. Sales across the country this Black Friday saw an increase of 13% after stores racked up a record $2 billion on Thanksgiving Day alone. Retailers are expecting to bring home $3.1 billion on Black Friday. Some stores started their sales as early as 3:00 pm on Thanksgiving Day. 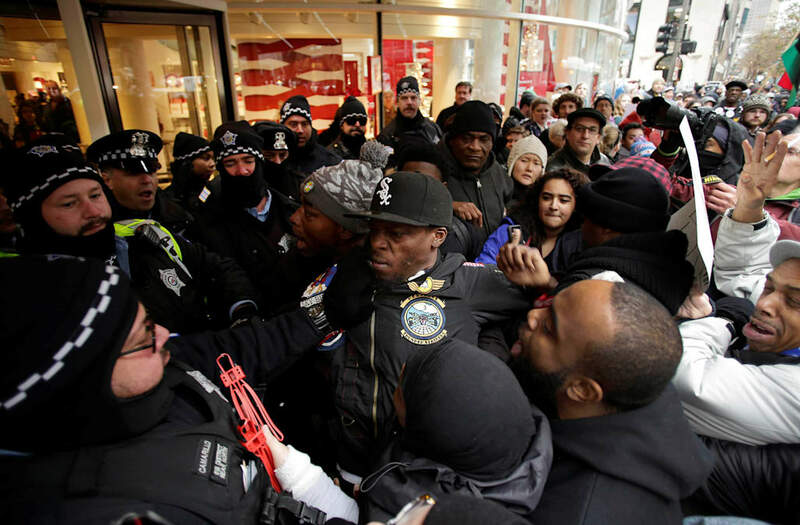 Hundreds of eager shoppers filled the halls of Macy's in Herald Square in New York City on Thanksgiving night. People who chose to stay home are still equally as guilty as those who decided to head to the stores on foot. Online sales also hit record highs. Hours before sales got underway, more than $1 billion had already been spent online. According to Adobe Digital Insights, $1.15 billion was spent online between midnight and 5:00 pm on Thanksgiving. According to the National Retailers Foundation, Thanksgiving Day, Black Friday and Cyber Monday sales combined could make this three-day shopping spree one of the busiest in history.